Providing enough power to all devices and equipment aboard a ship can be a challenging task today. The sheer amount of power consumption made on a daily basis on land or on sea is creating the need for supplementary power generation methods as well as power conservation methods. One of the way to provide the said supplementary power on a ship is through the use of a marine genset. The problem is further complicated on ships and other marine vehicles if they are away from land for long durations. While vessel operators commonly resort to running their main engines to constantly fuel the vessel’s AC and DC systems, this can be extremely taxing on their fuel economy, as well as create a lot of vibrations and noise. This is where marine gensets can become the perfect addition to a marine vessel. One of the key advantages that modern marine gensets can provide is being highly compact. While larger capacity gensets can take up significant amount of deck space, the smaller ones do not need a lot of space. The appropriate marine genset can be purchased by calculating the total power requirement of all equipment on board and then selecting a genset that provides an output roughly 20 percent higher than that. Marine gensets can also be water cooled in order to enhance their peak performance efficiency which also drive the marine gensets market growth. Marine gensets are supplementary power units that supply electricity to ships. These gensets can be fueled by gas, diesel, hybrid fuel, and others and find application in offshore support vessels, commercial vessels, defense vessels, and pleasure vessels among others. Commercial vessels can include auto carriers, reefers, super tankers, cargo ships, bulk carriers, tankers, and tug boats. Please vessels are those that carry people for recreational or sports purposes and include ocean liners, catamarans, ferries, cruise vessels, and sports and sailing yachts. Defense vessels include guide missile cruisers, frigates, destroyers, police-patrolling and coast-guard vessels, aircraft carriers, mine sweepers, and mine hunters. 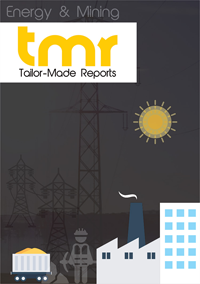 The report offers a detailed overview of the marine gensets market and provides sharp insights on the workings of the global as well as regional market. Historical, present, and future trends impacting the performance of the marine gensets market have been discussed at length in the report. Most marine gensets are fueled by diesel and this trend has been observed over the past decade or so. However, the introduction of alternative fuels and natural gas as fuel is likely to impact the diesel segment with marine gensets now turning to these newer power sources. Higher levels of air pollution causing restrictions on the usage of diesel has also hindered its application as a fuel for marine gensets. Nevertheless, marine gensets fueled by diesel offer a host of benefits such as safe storage of fuel, lower cost of maintenance, and longer lifespan of the engine. These advantages spell good news for diesel-fueled marine gensets. Marine gensets are most often used in commercial vessels owing to rising maritime trade. The growing demand for natural gas, especially in India, South Korea, China, and Japan, has also ensured the increase in gas carrier commercial vessels. From a geographical point of view, the global marine gensets market is segmented into Latin America, North America, Asia Pacific, Europe, and the Middle East and Africa. Asia Pacific has been a key contributor toward the overall market and is anticipated to continue doing so over the course of the forecast period. Rapid growth in this region can be attributed to the growth of the ship-building industry in countries such as South Korea, Japan, and China. A steady rise in investments has been observed in these industries and this will result in the demand for marine gensets. Moreover, there has been a rise in gas carrier vessels in these countries owing to the increasing demand for natural gas. It has also been noted that leading companies in the marine gensets market have been expanding their manufacturing units here, in the form of new licenses and plants. On account of being a mature market, Europe has been witnessing slow growth in the marine gensets market. Factors such as financial hurdles and recession have negatively impacted the demand for new vessels, thereby hitting the demand for marine generator sets. However, taking into consideration the region’s strength in ship building, experts anticipated that the market in Europe will gain momentum over the coming years, driven by a rise in oil and gas exploration activities. There are a number of global players operating in the marine genset market. These include Mitsubishi Heavy Industries (Japan), Wärtsilä (Finland), MAN Diesel & Turbo SE (Germany), Caterpillar Inc., (U.S.), and Cummins Inc. (U.S.). Recognizing the lucrative strength of developing economies across the globe, companies have been redirecting resources to expand operations into these countries and gain a larger share in the overall marine gensets market. The marine gensets market report takes into consideration the various strategies adopted by companies in the marine genset market. These include new product development and launch, regional expansions, contracts and agreements, joint ventures, and mergers and acquisitions.